Squire Locks have introduced a new locking combination bolt to complement their already successful CombiBolt with a new 3 dial version, The new Squire CombiBolt 3 benefits from a die cast lock body and steel locking bolt that make this combination bolt ideal for outside harsh environments. This bolt can be used as a replacement to a more traditional padlock with hasp and staple and can be used on sheds, gates, cupboards and cabinets. The CombiBolt 3 is very easy to use with simple one handed operation, the correct combination code is entered into the 3 dials, the bolt can then be open or closed. So this locking bolt can not be removed from the door it is protecting, security clutch head screws are supplied, along with a high pick resistance, this combination bolt offer great levels of security. 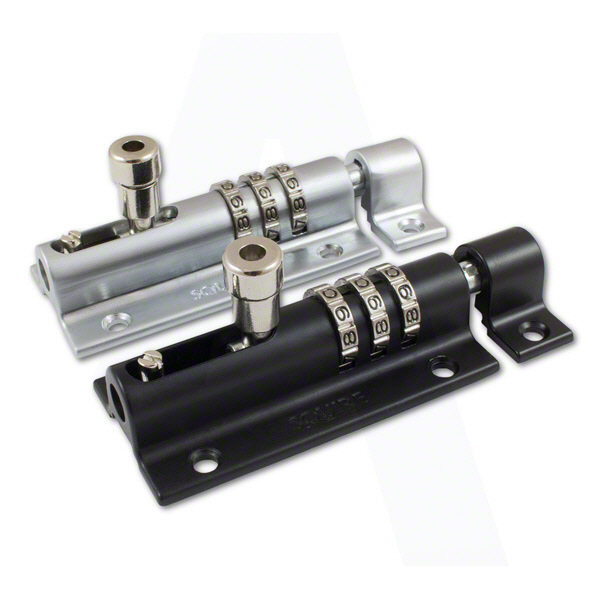 With no keys to lose this lock is great for anyone that is prone to mislaying keys! The bolt can also be used where access is required by multiple people, the code can be given out to many people, a much more cost effective method than handing out loads of keys. The combination code is also very simple to change, just in case the code gets into the wrong hands!